Potting Soil Vs Topsoil: What is the Difference Between? →Potting Soil Vs Topsoil: How Do They Compare? 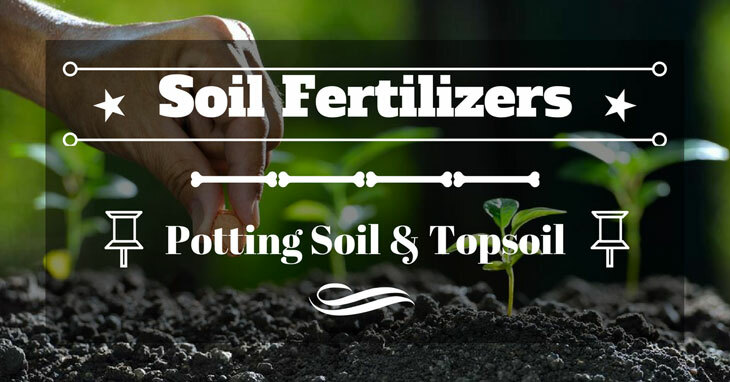 What is ﻿﻿Potting Soil and Topsoil? When Should You Use Potting Soil and Topsoil? What is Potting Soil and Topsoil? As the name suggests, topsoil is the top layer of soil that you see in your garden. It can be a couple of inches thick or even a foot thick. Topsoil is usually the best soil quality as it has organic matter and micro-organisms. On the other hand, potting soil is usually manufactured by mixing different ingredients. Unlike topsoil, potting soil is pretty lightweight. It also doesn’t require any amendments when planting. It’s surprising that potting soil does not contain any actual soil in it. Potting soil is a mixture of different ingredients. These ingredients may include sphagnum moss, coir, perlite, and vermiculite. This results in a texture that allows for the proper growth of roots. Topping soil also provides the necessary nutrients and moisture to the plants. It is made under strict recipes and formulas to drain well and allow proper aeration. Topsoil, in contrast, does not contain any specific ingredients. It can be the found in the woods or other natural spaces. Topsoil often contains composted manure or clay and sand. It also contains soil fungus and bacteria as well as weed seeds. In most cases, it performs well as a soil conditioner instead of an actual planting medium. Potting soil is perfect for container gardening. It is ideal for growing plants in a limited space because it retains moisture very well. Although it enhances the growth container plants, it’s not suitable for garden use. Potting soil drains quite well and may cause the garden soil to dry out fast. Since it’s sterilized, it reduces the risk of weed seeds being spread to the plants. Moreover, it allows for better root growth of container plants as it doesn’t compact like topsoil. On the contrary, when you’re not planting in containers, use topsoil for your garden. You can use it to condition your garden for adding organic matter to improve your plant’s growth. Topsoil should be combined with existing soil on your outdoor beds in an equal ratio. Mix the two soils to get the best moisture drainage since each type of soil drain water at a different rate. You can also use it to fill in low spots on a lawn or along patios and walks. You can as well use the topsoil to plant annual flower’s seeds or transplant nursery seedlings. For the best results, apply a layer of topsoil of at least 2 inch-thick over your garden bed. Then, mix it with the existing soil properly. If left as a separate layer, topsoil can create soil drainage problems. Apply another layer of topsoil to create a layer that facilitates proper root growth. Before planting, it is wise to test your garden soil to know whether or not fertilizer is needed. Topsoil is nutrient rich, but you still need fertilizer for plants to grow healthy and strong. When using potting soil make sure that it contains the right ingredients. Add some fertilizer in the form of a slow release formulation. Also, ensure that you regularly water your plants for the best results. Do not use the same potting soil each year. This is because nutrients may be depleted or may contain diseases, and insects. 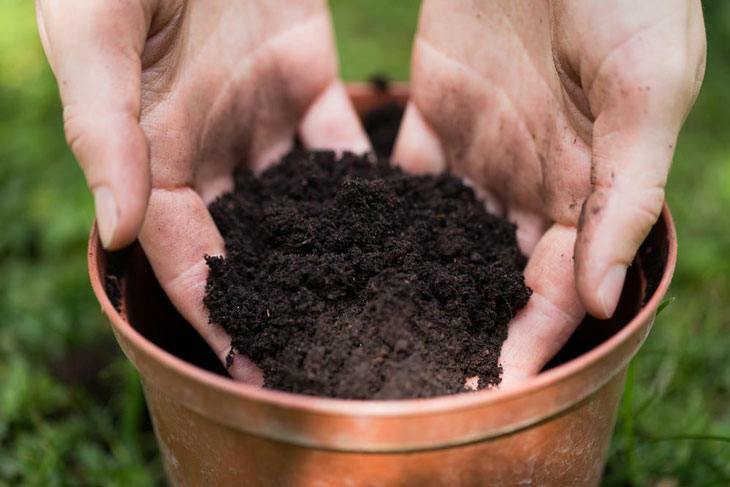 The best way to reuse old potting soil is by adding it to your garden. Another perfect way to reuse it is by adding it at the bottom of your container and putting fresh soil on top. Some of the potting soils available in stores are sterilized. This eliminates the risk of insects infesting your plants. It also reduces the spread of diseases to your plants. Potting soils comes in a variety of formulations that you can choose from. This allows you to find the best potting soil for your specific plants. Some potting soils specially designed for specific types of plants. Most commercially sold potting soils are free of weed seeds. This saves you from the hassle of weeding your container plants. This is why you should not use compost in containers despite it is nutrient rich. Potting soil can be easily amended to meet the ideal conditions for your plant's growth. If you think the soil is too dense for your plant's needs, for instance, you can add perlite to increase its drainage. Making potting soil that suits your requirements isn’t rocket science. All you need is to mix different ingredients, and you’re ready to plant. Some of the ingredients to use include peat moss, washed sand, perlite, and vermiculite. Some of the potting soils come with slow-release fertilizers. This helps to ensure that the soil always provides nutrients to the potted plants. Top soil can retain nutrients necessary to sustain the growth of plants. It’s also porous and able to retain the water necessary for plant growth. The microorganisms contained in topsoil promote the formation of humus- rich soil aggregates. It provides the ideal conditions for plants to grow even in harsh weather conditions. The stored nutrients help to ensure that your plants grow both healthy and strong. Topsoil promotes the growth of strong root structures. This, in turn, ensures that soil is kept from getting washed away by wind and rain. As we earlier stated, potting soil provides proper soil aeration and water retention. However, it provides little nutrition to your plants. This means that you will have to add some organic matter or fertilizers for healthy plants. Topsoil, on the other hand, has a tendency to crust over or compact after you’ve watered it for few times. This eventually hinders the growth of seedlings as they are germinating. Since it’s too dense, you cannot use it in a container as it prevents proper aeration and drainage. In conclusion, when sowing seeds use the ideal soil type depending on where you’re planting. If you are to plant in the garden area, topsoil is the best to use. Mix it well with organic matter to create the best growing conditions. However, if you choose to plant in containers do this using potting soil. Add fertilizers to your potting soil to promote the growth of healthy plants.